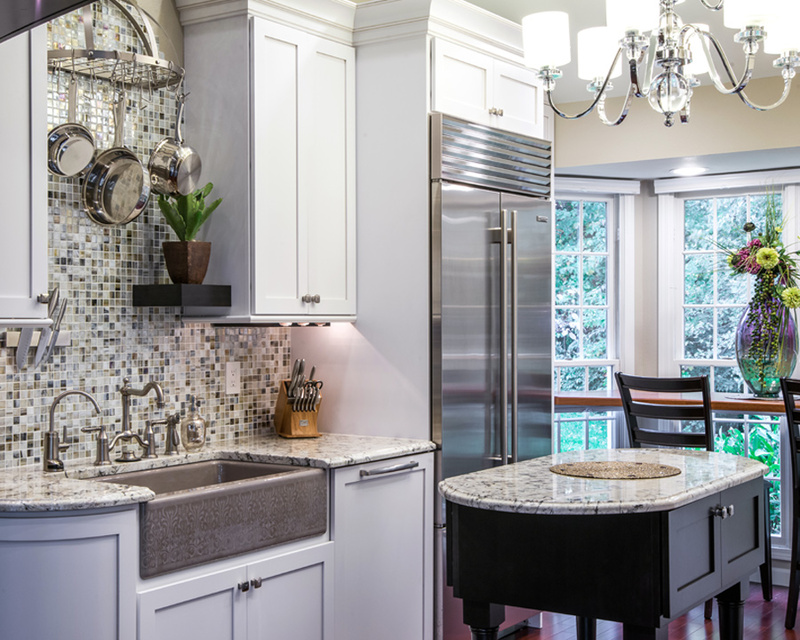 Herzog Kitchen & Bath was faced with the challenge of opening up this 152-square-foot galley kitchen. Lifting the ceiling to a vault and taking down the main wall separating the kitchen, dining and living rooms achieved the open feel the homeowners desired. 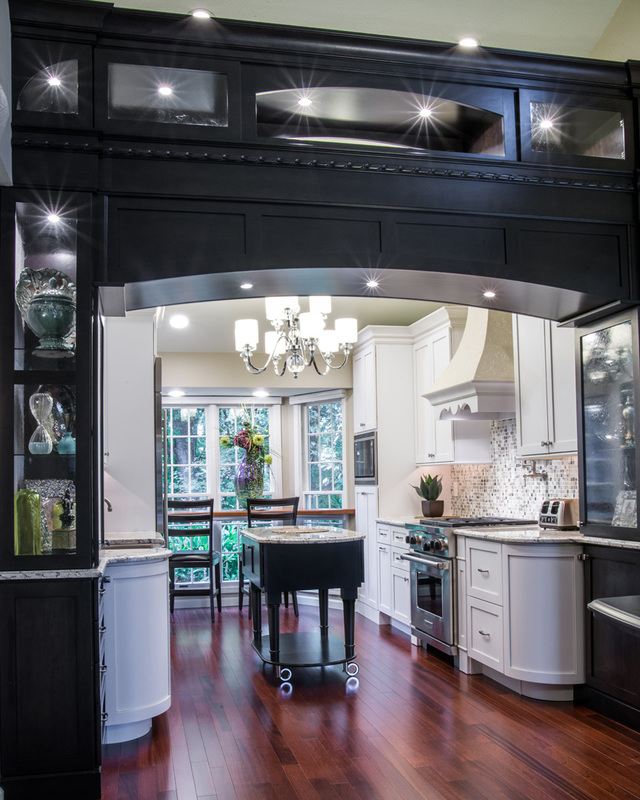 A custom column entrance draws you into the kitchen and sets the space apart from all others. Crisp white cabinets with pewter accents not only make the kitchen feel larger, but also create a balanced contrast with the column entrance. By building in a French door refrigerator and covering the dishwasher with cabinetry, the appliances blend into the kitchen instead of overwhelming the space. A Brazilian cherry floating countertop fits into the bay window allowing seating for two, and a movable cherry wood island was designed to be able to tuck away under the countertop if need be. From the chandelier to the half-round pot rack above the sink to the carefully chosen backsplash, this kitchen creates a dramatic effect. Judges’ Comments: Little touches, such as the gray sink, are very complementary with the tile, countertops and appliances. The moveable island is a functional addition. Even though the cabinetry is white, it is very transitional, and throwing in a little black in the custom entrance is a great contrast.